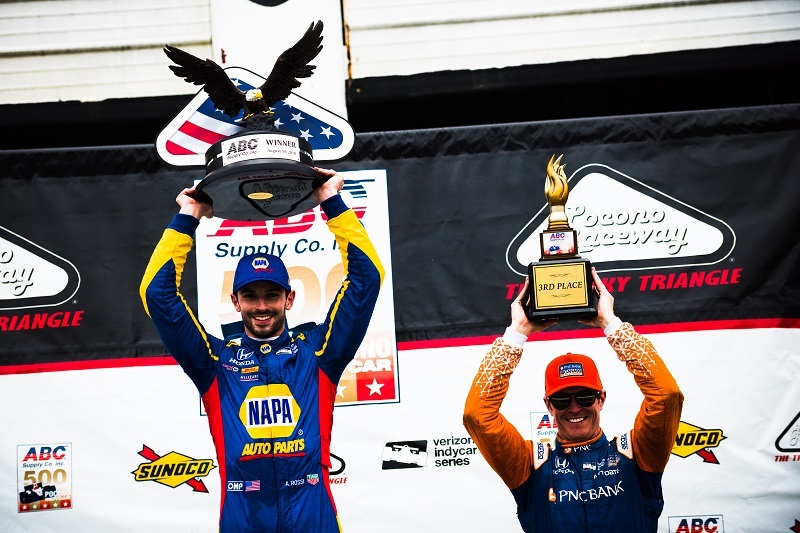 After a dominating win at Mid-Ohio Sports Car Course three weeks ago, the NAPA KNOW HOW team again stole the show, winning at Pocono Raceway’s 500-mile event. 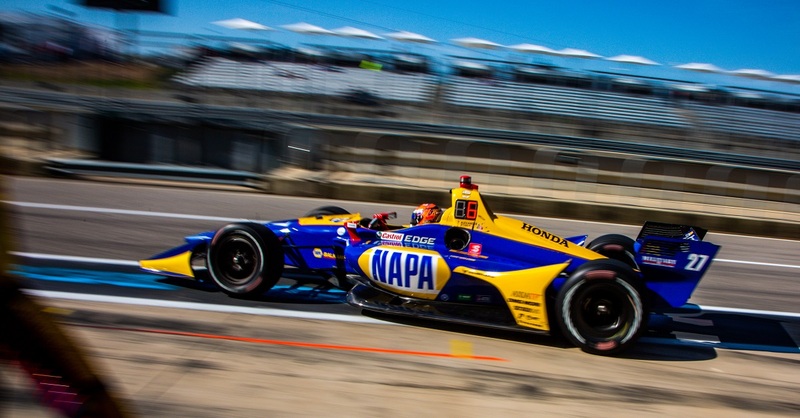 Alexander Rossi started the ABC Supply 500 as the top Honda-powered car in the field in third position Sunday afternoon. 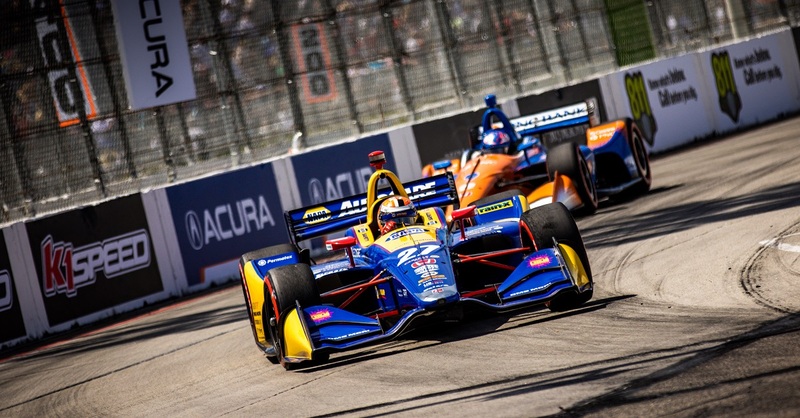 Unfortunately, as soon as the green flag was waved, the yellow flag followed due to a two-car incident occurring before the start/finish line. After running five laps under caution, Rossi took the restart from the second spot and jumped Will Power for the lead on Lap 6. 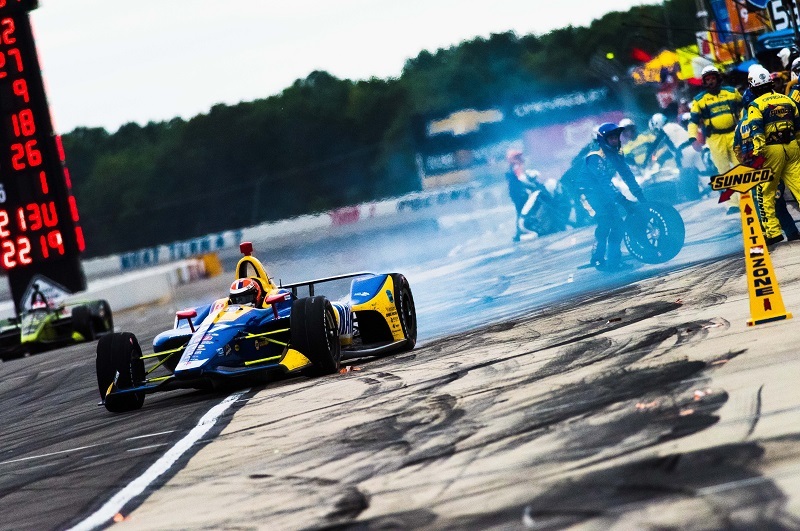 As the cars made their way out of Turn 3, a multi-car incident occurred forcing the 500-mile event into an extended red flag period.The accident, which involved contact between the No. 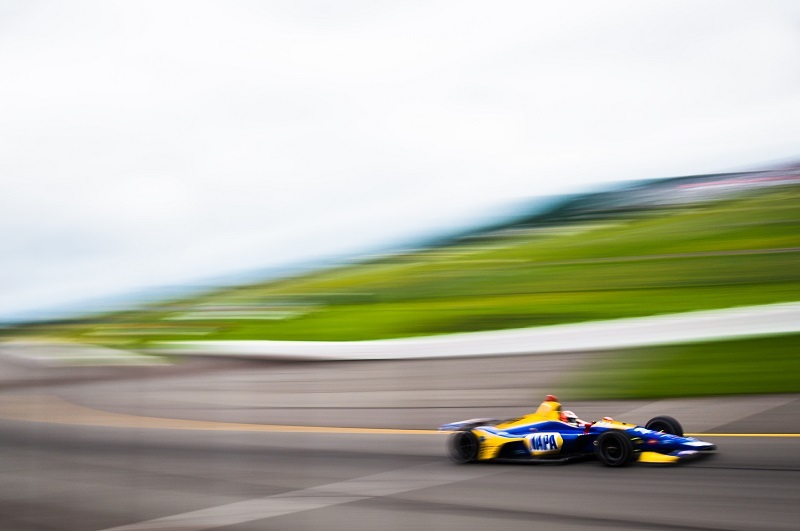 28 of Rossi’s teammate Ryan Hunter-Reay and the No. 6 car of Robert Wickens resulted in damage to the catch fence which required repair before racing could resume. Wickens was transported to the Lehigh Valley Cedar Crest Hospital in Allentown with orthopedic injuries and remains under evaluation. 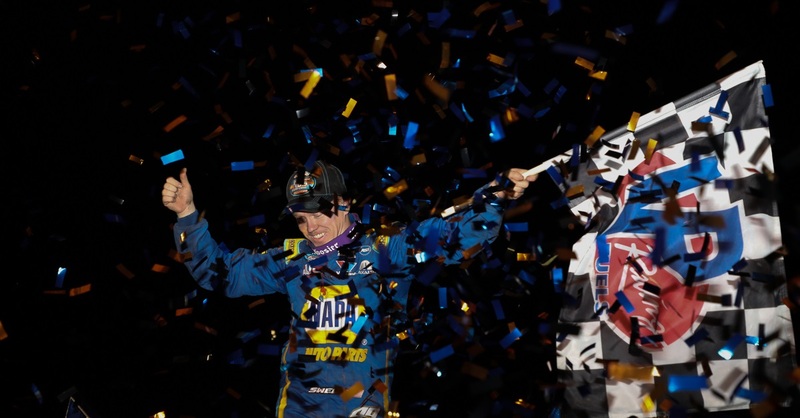 Nearly two hours later, the race was restarted and the NAPA AUTO PARTS machine led the field back to the green flag. Leading 180 laps of the 200-lap race, the 26 year old American picked through the field lapping cars, leaving only four cars remaining on the lead lap at the race’s conclusion. 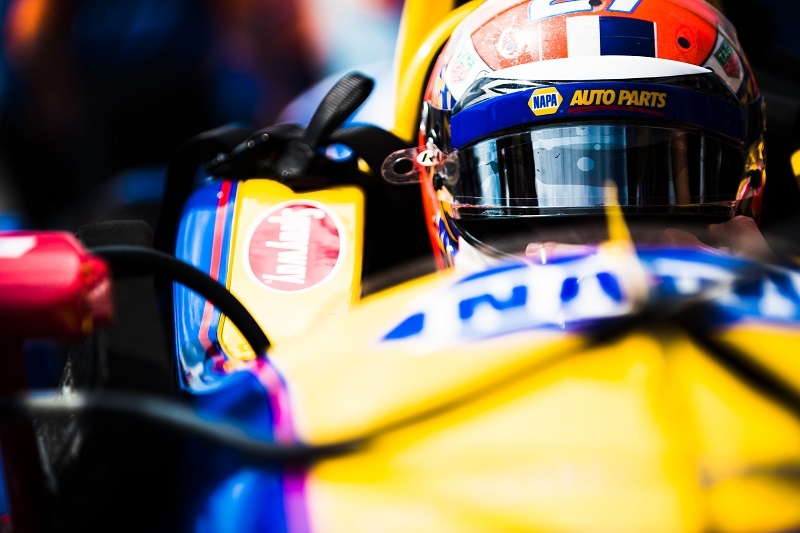 Rossi drove the No. 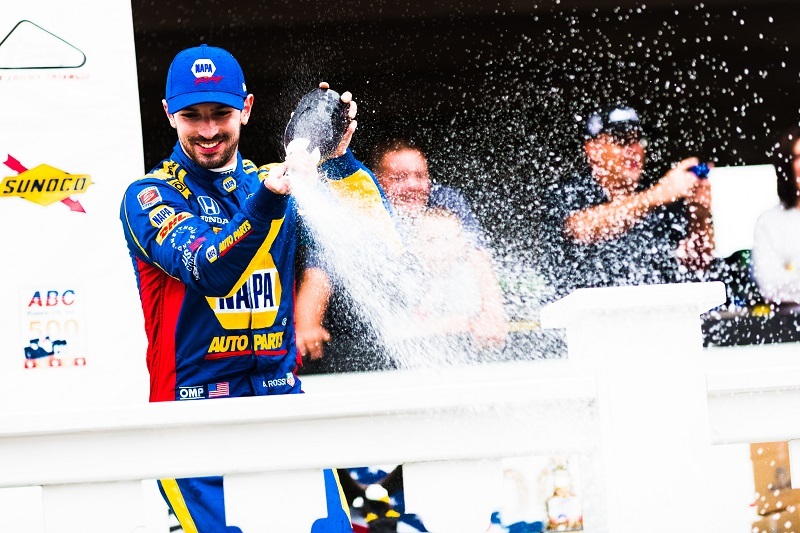 27 car straight to victory lane to collect his second-consecutive win, his third of the season and fifth of his career. 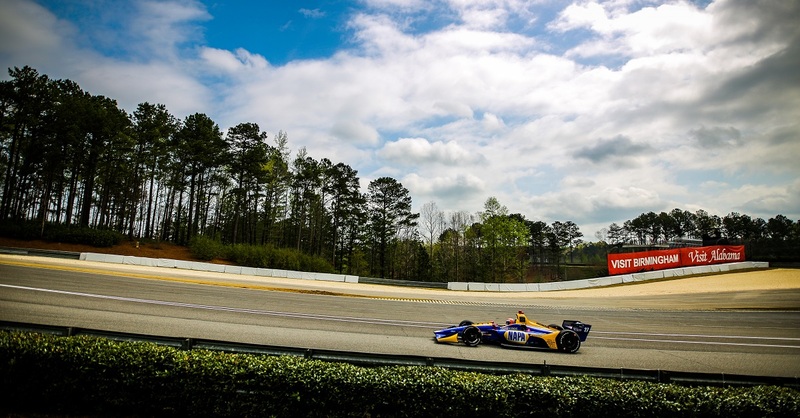 The championship contender remains second in the standings, but narrowed the championship points gap by nearly half to leader Scott Dixon. “We came out in some traffic and it was really hard to be behind cars for some reason today,” said the winner. “The No. 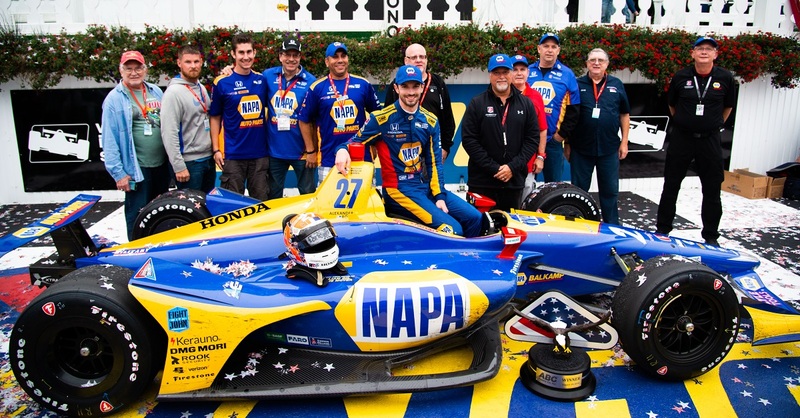 27 NAPA AUTO PARTS Honda was better than everyone else, so it was an exceptional day but right now Rob [Wickens] and James [Hinchcliffe] and Ryan [Hunter-Reay] and everyone involved in that incident have our thoughts. It’s tough to really celebrate after what happened. Points Standing / Total: 2nd / 501 pts.